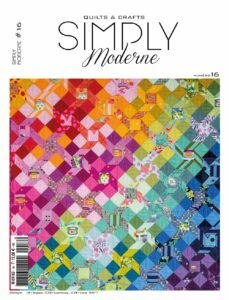 Quiltmania started a blog and asked us to join in from time to time. We are very pleased to do so! 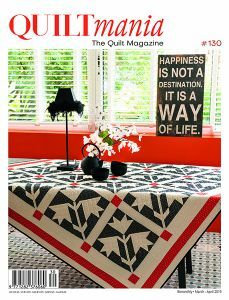 Let me start with introducing us to you, Quiltmania blog readers. 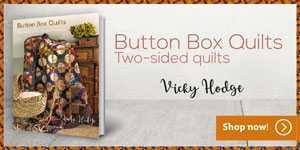 My name is Elsbeth and I have been working in the quilting business for over 20 years. 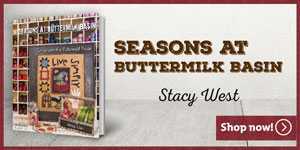 I started in 1996 as a volunteer for our national Quilters’ Guild as a member of the editorial team of the magazine. I found my dream job in Amsterdam in 2007, in the store ‘Den Haan & Wagenmakers’. It was taken over by Nel Kooiman and Petra Prins in 2009. They started producing the collection ‘Dutch Heritage’, with prints from Dutch origin from the 17th and 18th Century. Josephine and later Anette joined the team. 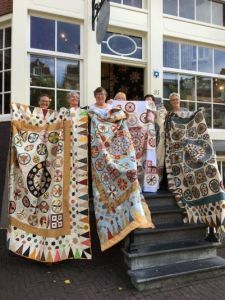 Josephine is an avid quilter, she especially loves to work with the Dutch chintzes! Anette has been quilting for many years too. Her specialty is handwork and embroidery. Under the guidance of Nel and Petra we are a happy work team. We are constantly thinking of new projects and ideas. Quilting has been our passion and it will probably be for the rest of our days! Quilting has changed so much over the years – not quilting itself, but the way we can relate to each other. 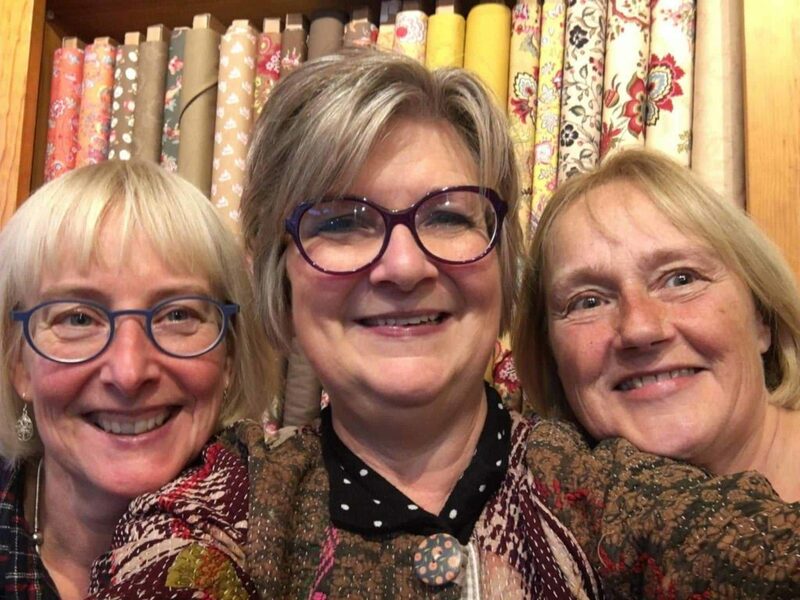 The days that the local quilt shops, groups and close by events were our main source of inspiration are long gone. Through internet we are able to meet people from all over the world. Besides magazines and books we read Blogs, Facebook, Pinterest and Instagram. We are inspired on a daily basis if we want! The only thing we are short of, is time! The fabrics that once were hard to get, are now available online. It gives the shops worldwide the possibility to specialize and reach people from a far distance. 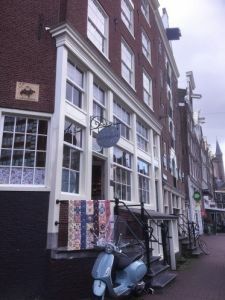 Our shop in Amsterdam is one of those shops with a special collection of fabrics that are not available in the shops everywhere, like many others. Through this blog we would like to tell you about these fabrics, their source and what we do with it. We teach, have groups who work on quilt projects, charity groups, so there is a lot to tell you about! 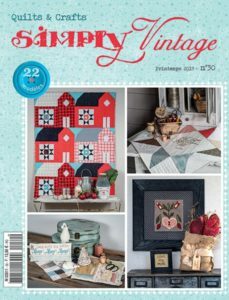 Quilting is sharing, so you will definitely read more from us. In the meantime: happy stitching!